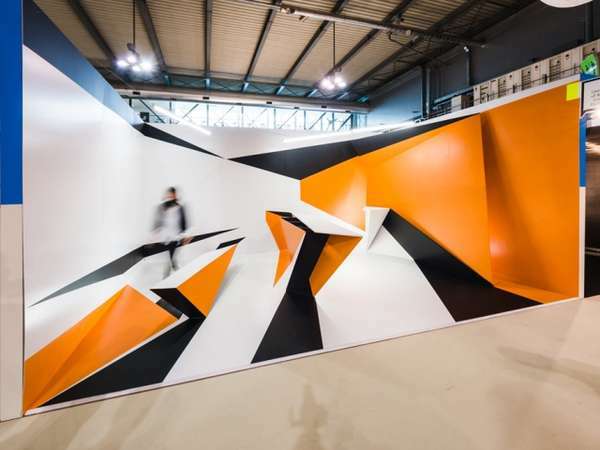 The project was designed in collaboration between the students of the University of Applied Science, Darmstadt and architect Boris Banozic, Frankfurt-based architect and scenographer. 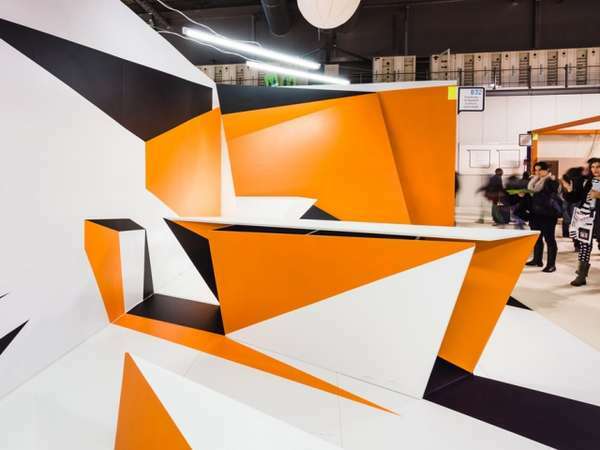 Displayed at Milan Design Week’s Salone Satellite, the interactive art piece explores the marriage between furniture and space. 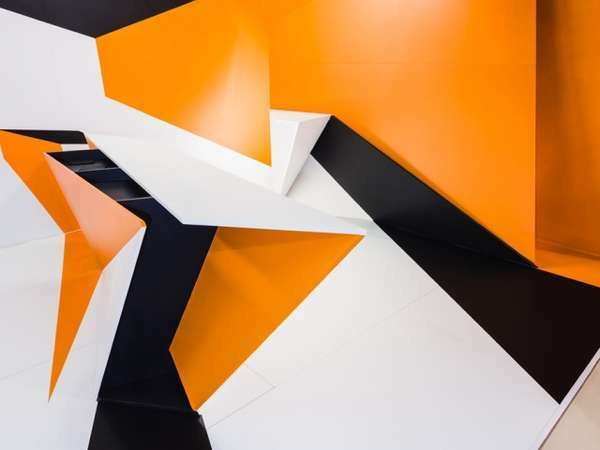 The structure is brightly painted and features a series of graphically geometric elements that question whether furniture defines space or is an extension of it. 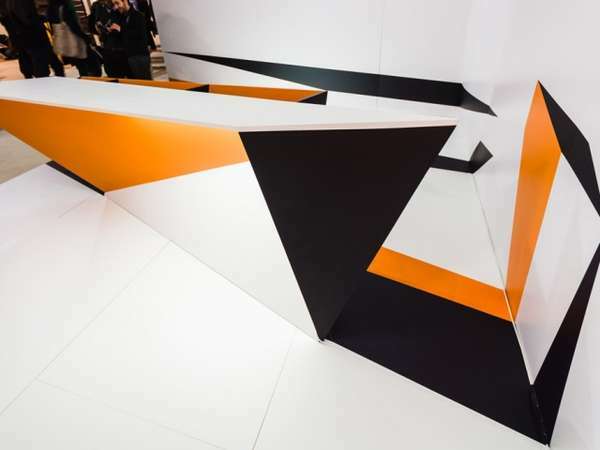 The optically deceptive form is a fusion of a bench, table and desk. 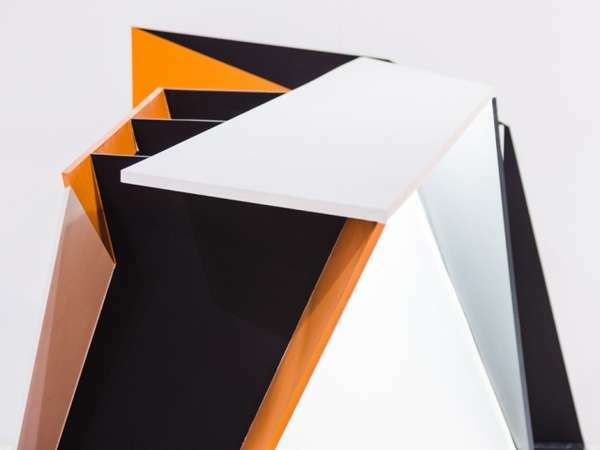 Awkward angles intrigues visitors to take a closer look and explore which elements of the stand are indeed functional, while the use of three colors – black, white and orange – forms an abstract shadow play.